For Theresa McGhee Johnson, quilting is a family business that dates back to when she was being raised by her grandmother in Birmingham. “[My grandmother] taught all of her grandchildren how to quilt and help her because she used to make quilts for people in the community. 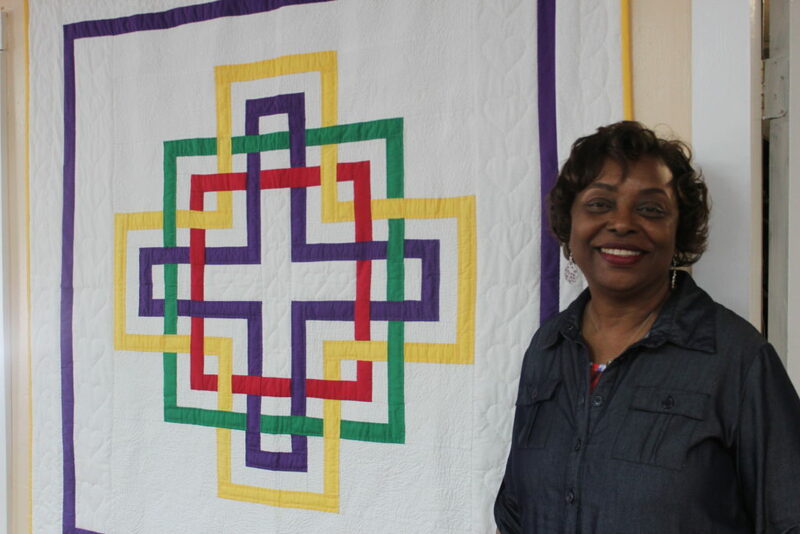 We would go out and sell them,” said Johnson, founder of the Riley Center Quilters, who meet in Birmingham’s Southwest community every Tuesday from 4 to 7 p.m.
Just as her grandmother taught her, Johnson teaches her family members. “My granddaughter, Jada, is 16, and I’ve been teaching her how to quilt since she was about 8 or 9; she has made two quilts. My 11-year-old grandson, George, knows how to put stuff together to make a quilt, as well, because they’re always watching me, and they’re always trying to help,” she said. 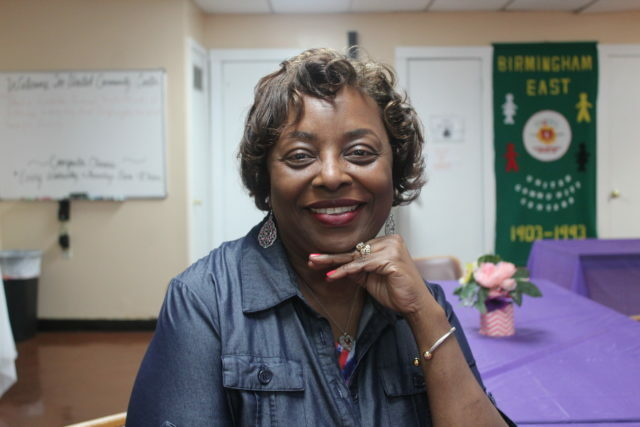 Johnson, 65, teaches not only her family but also fellow community members. As executive director of the Riley Center, she founded a group for quilters in the 1990s; it began with just a few people and now has 25 members. Since organizing her group Johnson has made more than 190 quilts, 60 of which she calls “UFOs,” or unfinished objects. 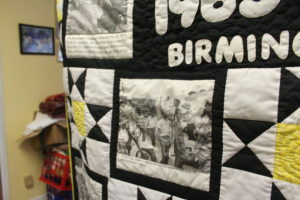 Her finished quilts have been on display at the Birmingham Public Library in downtown Birmingham, at Alabama State University in Montgomery, and at the Guiding Light Church in Irondale. She has also sent quilts to Japan through the Sister Cities program with the Birmingham Quilters Guild. Johnson grew up in the Riley-Travelick community, where she, her siblings, and her cousins were raised by their grandmother, Bertha Mae McGhee. Johnson was 5 years old when her mother relocated to New York for a job opportunity. Johnson’s grandmother was a housewife, but she made quilts for people in their neighborhood to make some extra money. helped her grandmother by putting thread through a needle, and then she began sorting out materials and piecing them together. When Johnson became more proficient, she and her grandmother would make quilts for people at their church, for their neighbors, and even for when babies were born. Johnson helped while she was a student at Wenonah High School and Lawson State Community College (LSCC). 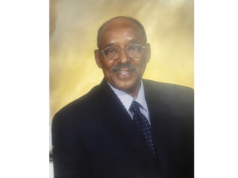 After completing her studies, she married her high school sweetheart, Melvin, and stopped quilting to focus on her family. About 20 years went by before Johnson made another quilt. By that time, she and her husband had three daughters: Latisha, Jacynthia, and Melba. When her oldest, Latisha, was preparing for college at Alabama State University, Johnson wanted her to take along something special from home. At the time she made the going-away gift for her daughter, Johnson was a program coordinator at the Riley Center. 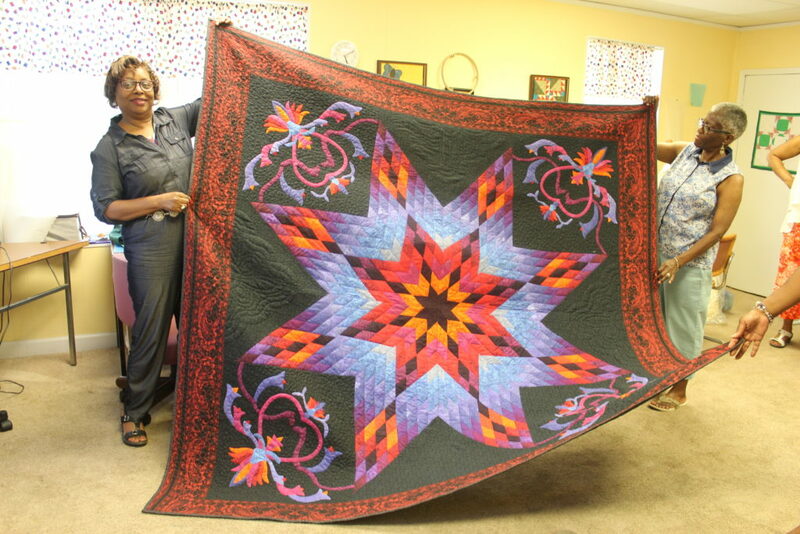 When she completed the quilt, she showed it to some of the seniors who came to the center. They were intrigued. 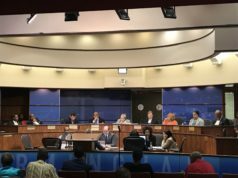 “The ladies wanted to do something different,” Johnson said. “They had been knitting or making dresses, but when they saw my quilt, it sparked an interest in them. They would say, ‘We used to do that when we were little’ or ‘Mama taught us how to do that,’ things like that. But they wanted to do it better. Johnson, who has been a member of the Birmingham Quilters Guild since 2006, has no problem sharing her quilting skills. Of the nearly 200 quilts that she’s made over the past two decades her favorite is one with a lone star. 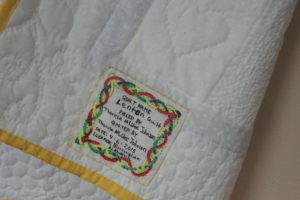 Quilting is an important part of Johnson’s life, and she will continue to quilt for as long as she can, she said. 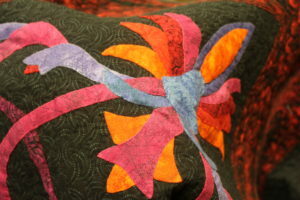 “Starting this club and quilting have had a great impact on me because I see the progress of the quilters. I’ve seen the progress of children and their attitudes in the process of making a quilt,” Johnson said. “It has helped me calm down, too. When I started, my children were going off to college and I had nothing to do. I went to the doctor and told him I need something to do. He told me to pick up a hobby. Then I remembered that I knew how to quilt, and that’s how I started here. 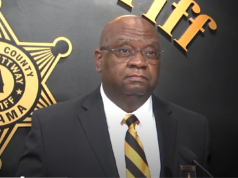 -This post was updated on October, 11, 2018 at 3:05 p.m. to correct that the Riley Center is in the Southwest community of Birmingham and not West End.